Announcement Welcome to The Humble Ring! 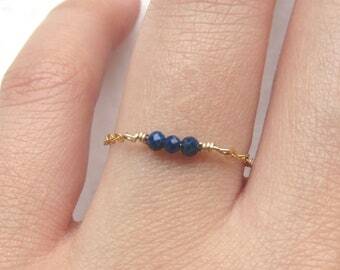 TheHumbleRing bestsellers include bow rings, bridal ring sets, wave rings, midi/above the knuckle ring sets and dangle charm rings! All pieces are handmade with love in Canada! *Current turnaround time for orders is 5-7 business days! Thank you for visiting TheHumbleRing! Welcome to The Humble Ring! TheHumbleRing bestsellers include bow rings, bridal ring sets, wave rings, midi/above the knuckle ring sets and dangle charm rings! 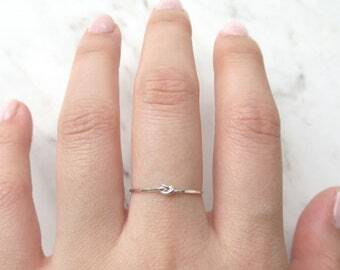 These rings are just so perfect, dainty but strong and so beautiful. I am pleased and will definitely be purchasing again! The personalization on the box was such a sweet touch, everything from packaging to the rings is just fantastic! Thank you. Absolutely love them!! 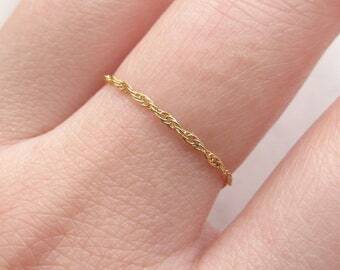 Dainty and fit perfectly. 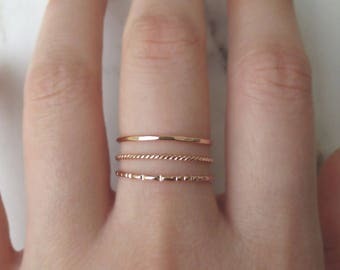 Gorgeous rings. Sturdier than I thought they would be too! Thick enough that they don’t misshape easily. Would definitely recommend. New! 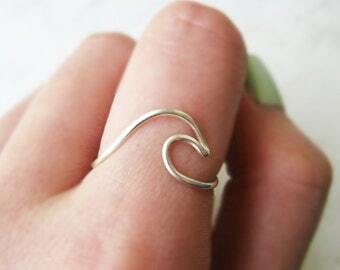 non adjustable sterling silver wave ring! Welcome to the family! 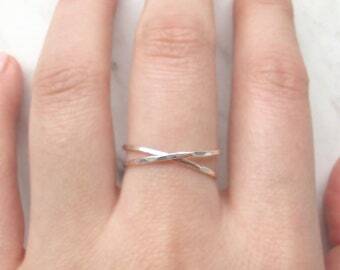 Sterling silver wave ring now available! I hope you enjoy all of my Humble rings! All custom orders are non-refundable and non-exchangeable. 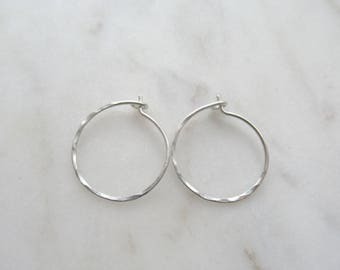 Earrings cannot be returned or exchanged due to hygiene reasons. Please let me know if you have any problems within 7 days of delivery and I will try my best to work with you to find a solution. If a return is granted due to special circumstances, the buyer is responsible for paying all shipping fees, customs, duties and taxes. The buyer must select a return shipping option that includes a tracking number and provide the tracking number to me as proof of return. Original shipping fees will not be refunded. Please contact me for return approval prior to shipping the product back. For your order to be eligible for a return, the product must be unworn, in its original condition and original packaging intact. 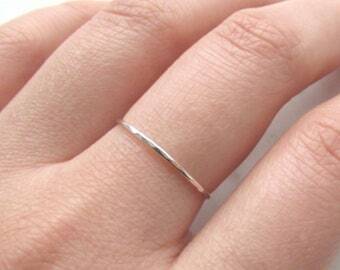 The Humble Ring accepts credit cards, Paypal and Etsy gift cards through Etsy's direct checkout system. CANADA ORDERS (standard shipping) are shipped in partnership with a forwarding company via Canpar. If you upgrade shipping and choose Expedited or Xpresspost at checkout, your order will be shipped via Canada Post. US ORDERS are shipped in partnership with a forwarding company via USPS and will include a tracking number. (If you select the USA Xpresspost shipping upgrade at checkout, your order will be shipped via Canada Post). INTERNATIONAL ORDERS are shipped in partnership with a forwarding company via USPS First Class International or Asendia and will include a tracking number. (If you select the International Xpresspost shipping upgrade at checkout, your order will be shipped via Canada Post). For faster delivery options, shipping upgrades are available at checkout for an additional fee from the shipping drop down menu. **Please note that all shipping upgrades (ie. Xpresspost, Priority, etc) are non-refundable, even in the unlikely event that there is a delay from postal services. All shipping delivery times are guidelines provided by Canpar, Canada Post and USPS and are not guarantees. Delivery dates may vary and may take longer to arrive due to weather conditions, customs, and holiday seasonal volumes. Please understand that once your order is shipped, I have no control over how long it may take to arrive. International buyers are responsible for knowing your own country’s policies for customs and duty fees. Buyers are solely responsible for any custom fees, taxes and import duties charged at time of delivery or pickup at a local post office. Please contact your local postal office for more details. 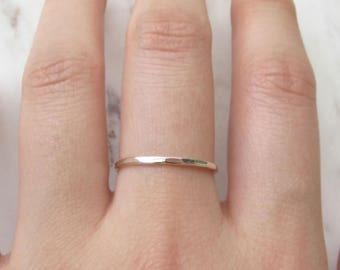 The Humble Ring is not responsible for any packages that are not delivered due to incorrect address input, lost/stolen packages, items damaged during shipping or delivery delays by the postal services. If packages are returned to sender, the buyer will be responsible for any re-shipping fees to re-send the package. Original shipping fees will not be refunded. 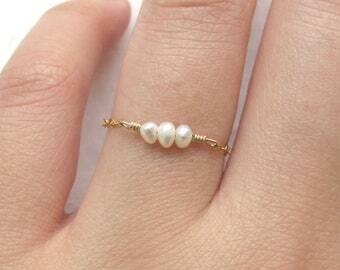 *Each ring is handmade and made to order just for you! Please allow for subtle variations. The plated materials (silver, gold, rose gold, black and olive green) are copper or brass based. Some people may experience a skin sensitivity to copper and brass, which may cause skin to turn green. 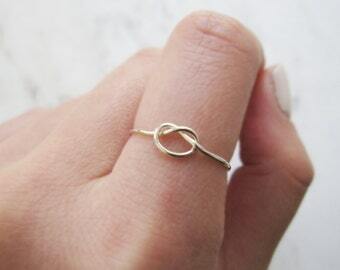 To lower the chances, keep rings dry and away from water, detergents and household cleaners. The rings are made out of tarnish resistant wire but may show signs of wear and tear over time if not properly cared for. Do not wear jewelry in the shower, swimming, while exercising, before applying lotion and perfume or when handling detergents (ie. washing dishes, washing hands). It is normal for the finish of plated jewelry to fade over time. 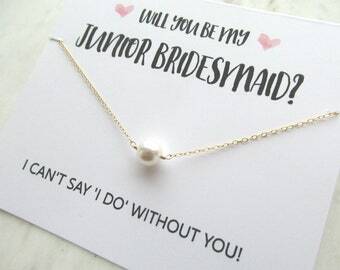 The length of time that the plating can last depends on how often you wear your jewelry, the activities you do while wearing your jewelry and your own body chemistry. To prolong the finish of your jewelry, avoid contact with liquids, detergents and chemicals (ie. lotions, hair spray, chlorine/swimming pools, perfumes, etc.) Remove all jewelry before taking a shower or bath. When you are not wearing your jewelry, store away from sunlight, in an air-tight container. Gently wipe jewelry with a soft dry cloth after wearing. Your purchase signifies that you have read and accept all the shop policies at TheHumbleRing. Thank you! For purposes of EU data protection law, I, Em, am the data controller of your personal information. If you have any questions or concerns, you may contact me at thehumblering [!at] gmail.com. 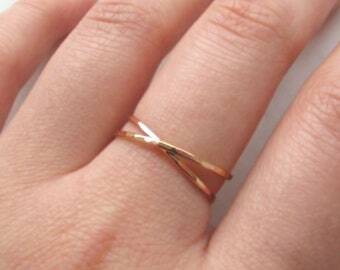 All rings may show signs of faster wear and tear if not properly cared for. 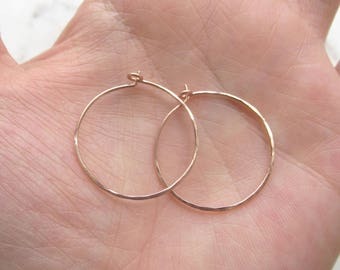 ♥ Plated metals: (silver, gold, rose gold, black and olive green) are copper or brass based. Some people may experience a skin sensitivity to copper and brass, which may cause skin to turn green. To lower the chances of this happening, keep rings dry and away from water, detergents and household cleaners. Avoid wearing jewelry in the shower, swimming, while exercising, before applying lotion and perfume or when handling detergents (ie. washing dishes, washing hands). 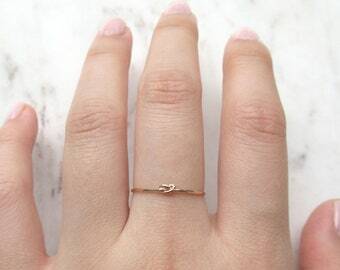 ♥ 14k Gold & Rose Gold Filled: Keep dry and clean. 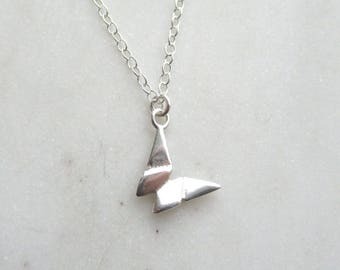 ♥ Sterling silver: Sterling silver will tarnish naturally overtime. A polishing cloth can be used to bring back its shine. 14k Gold filled is not actually filled with gold. 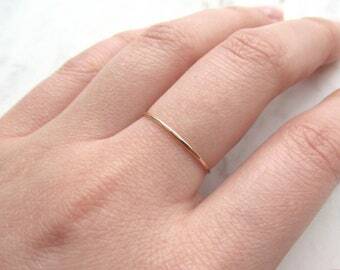 It is a thick layer of real 14k solid gold that has been pressure bonded onto another metal. 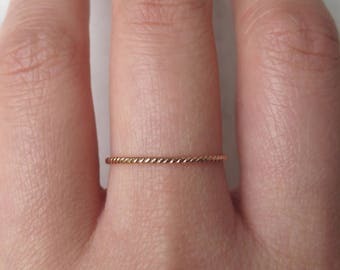 14k Gold filled is made by pressure bonding multiple layers of solid 14k gold with extreme heat over a core of high quality jeweler’s brass, which creates a durable, shiny and high quality product. 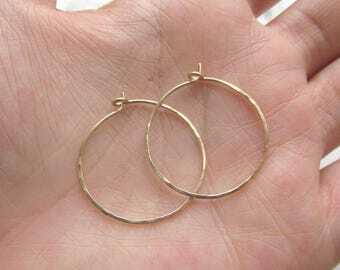 14k Gold filled has 100 times more real gold than gold plating. 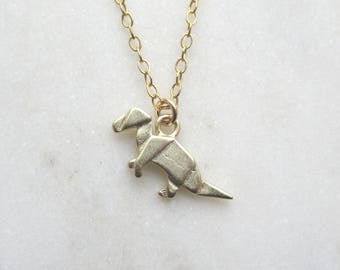 It is tarnish resistant and an affordable alternative to solid gold. Which material/metal should I choose? 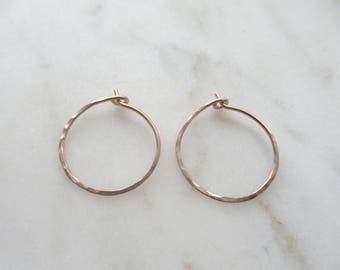 We highly recommend the higher quality materials (14k gold filled, 14k rose gold filled and sterling silver) for their beautiful shine, strength and durability. These materials are made for every day wear. 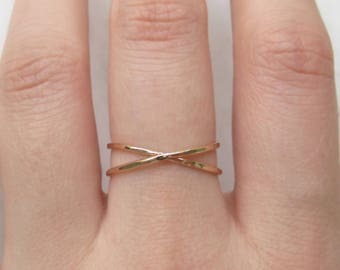 The simpler plated materials (brass, gold tone, rose gold tone, silver plated, olive green and black) are made from a copper or brass core and wear away more easily than gold filled and sterling silver, especially when exposed to moisture. These materials require extra care and should be removed prior to any contact with water, lotions, creams, perfume, and detergents. 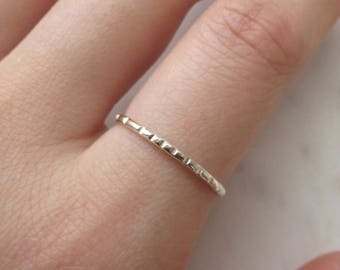 All rings are made in US/CAN sizing. The adjustable rings are not soldered closed. Instead they have a curly cue (swirl/loop) design allowing for adjustability. The curled circles design is meant to be worn on the back side of the hand (facing the palm side of the hand). 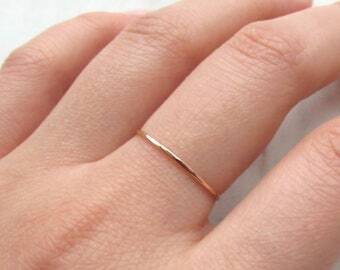 We ask you to provide a size for the adjustable rings so that we can make the rings more comfortable for you. 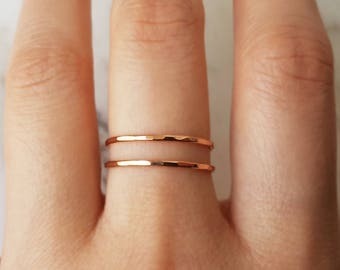 Generally, the most popular sizes for a regular ring is US size 6 and US size 7. 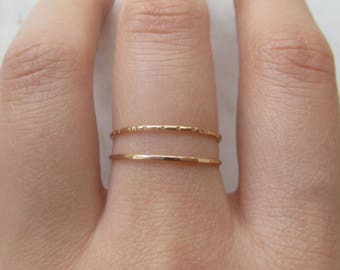 For above the knuckle (midi) rings, the most popular sizes are US size 3 and US size 4. Do you ship to Canadian PO BOX addresses? We no longer ship to Canadian PO boxes, if you choose standard shipping. An upgrade to Canada Post Expedited or Canada Post Xpresspost is required. Orders addressed to a Canadian PO Box with standard shipping will be cancelled if an upgrade is not chosen.